To make your stay even more enjoyable, My Second Home offers various promotional offers. Whether it is to stay at the mountains but also at sea, take advantage of our great rates and come live an unforgettable holidays in one of our luxurious résidences. 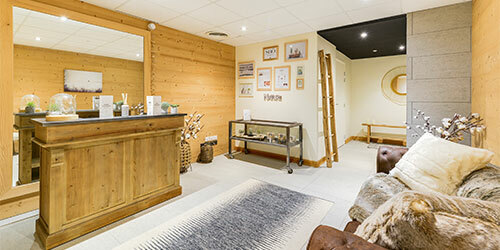 Wellness offer in Combloux ! Book now a stay of minimum 7 nights in the residence between 29/06/2019 and 01/09/2019. From studio to 4 bedrooms, subject to availability. From € 434 for a studio in very low season. Book your next holiday and get additional benefits such as : -10% offered on the second week of rental and free cancellation insurance. A minimum of 14 nights stay between the 29th of June 2019 and the 01st of September 2019 booked before the 31th of May 2019 . *This offer is available for a stay in one of our apartment or chalet in both of our residences “Le Hameau de Barthélémy” in La Rosière and “Les Fermes du Mont-Blanc” in Combloux. The reservation must be confirmed, meaning a deposit must be paid before the 31th of May 2019.